I’m pleased to have just accepted a new job at Wowza Media Systems. I’m excited to be working with an old friend and colleague, Charlie Good, who is the developer of Wowza Media Server. Charlie and David Stubenvoll founded Wowza 4 years ago, and their product has had great success. I’ll continue to be an Eclipse user and blogger. But I’ll miss doing full-time Eclipse work. 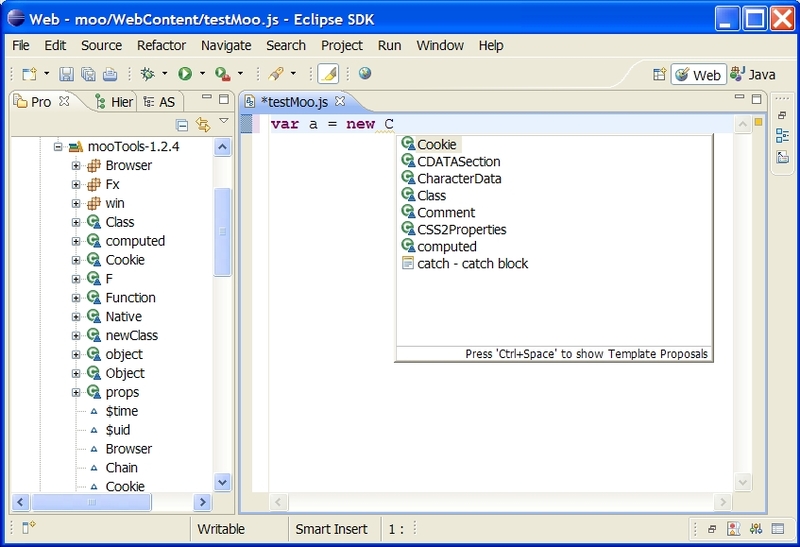 Wowza does provide an Eclipse based IDE, which I will be working on, but my primary efforts will be working on core media streaming features. I think Wowza Media Server is a very cool and useful product. Wowza provides fast, easy-to-use, multi-format media streaming. They have a very nice EC2 cloud computing solution as well as streaming from your own server. The media server is very extensible– it’s a product as well as an SDK. They just won a couple awards at Streaming Media Europe. We ended with engaged group discussion regarding issues js work faces: including language quirks, project management focus on server-side quality, and the 20 different ways to create a class. There was a little talk of tools. Or lack of tools. One person had tried NetBeans, one person mentioned js-Eclipse as working nicely, 2 mentioned Aptana, the rest are using text editors of various kinds. As someone who transitioned from finding IDEs an interference to relying on them as a productivity tool, I am still amazed that js tooling is so immature in 2010 that a text editor is the most efficient way to develop. It was interesting that most use TDD in their daily work, but few use TDD specifically in their js work. Selenium – record and playback tool. Standard problems with record and playback– time spent re-recording/updating tests. jasmine – Justin’s preferred. Runs on HTMLUnit. Behavior Driven Development. js koans – like Ruby koans. Learn functional js. w3c – downloadable HTML validator. Did a little research today on Online IDEs. I’ve been thinking a bit how this would change the developer workflow– continuous integration, common build targets, continuous deployment,etc. Still revising my thoughts. Thought it useful to share links I’ve found interesting. (And helpful to me later). Will update as I find more. We don’t need an online IDE, S. Arbogast. Discusses how we don’t need to port existing IDEs to the web. We need to rethink workflow and collaboration. Thoughtful. Extends some thoughts I’ve been having. devUnity. Code Collaboration using Google Wave. No useful info. Been ‘coming soon’ for awhile. Existing Products that aren’t really IDEs– just web based place to enter code and compile it. This may fall into the category of something everyone else already knows and I discovered it today. I had an experience today when trying to install the PDE Visualization component (Update site) into Eclipse 3.6. P2 just stayed at 5% complete. I waited. Made a coffee. Waited some more. It never progressed in 15 minutes. Thinking I had some odd combination of dependencies and P2 was choking on resolving them, I tried to install another component. Same result. Then I noticed the checkbox at the bottom: “Contact all update sites during install…”. I tried to install with this unchecked, and it quickly told me that the PDE Visualization component required draw2d. So i”Contact All” must be checked to pull dependencies from Eclipse update site. Hmm, I wonder how many update sites it’s trying to contact? So I clicked on “Available Update Sites” at the top of the page, and there were 50 or so sites. Over 20 of them were checked. Some I knew were unreachable because they were on my corporate network and I wasn’t connected. So I cleaned up my list of update sites. Removed those I didn’t need, and most importantly unchecked those that I didn’t want to connect to on a regular basis. I had only 4 checked when I tried it again. Fast install. Problem Solved! Why did I have so many? I think its because when I migrated from Eclipse 3.5 to 3.6, I exported my update sites and re-imported them into Eclipse 3.6. 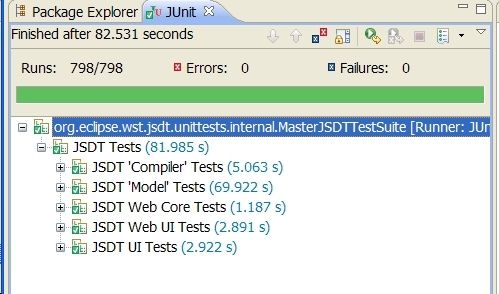 I’m spent a solid month evaluating JSDT. The motivation for the investigation was to familiarize myself with Java Script as well as the state of the Java Script tools. I also have some interest in building a product in the Java Script space. 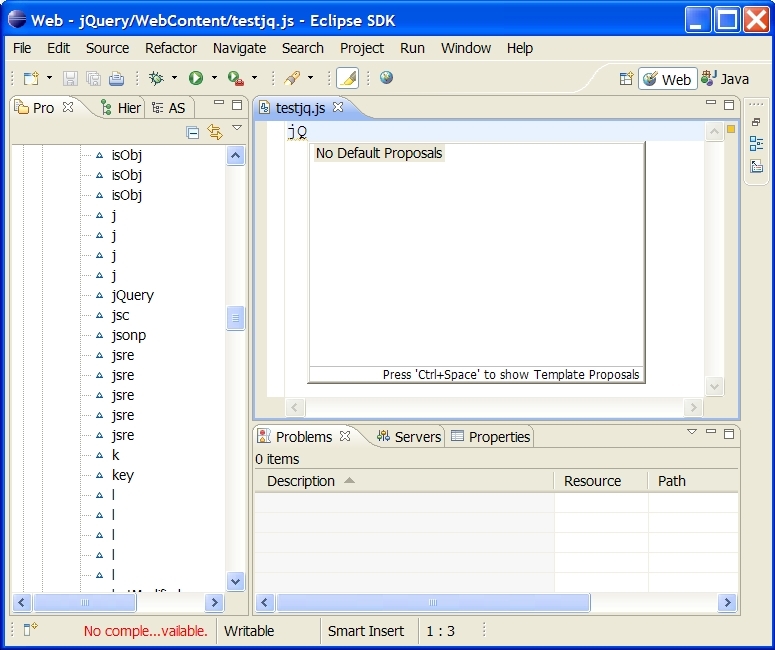 Being a long-time Eclipse developer, I started with the JSDT. Overall, the JSDT evaluation has been disappointing. I may blog in detail about this at a later time. Hopefully the next version will be more stable and useful. There are links at the bottom pointing to the JSDT posts. Some Java Script developers mentioned they had some success with NetBeans, so I decided to give NetBeans the same trial. 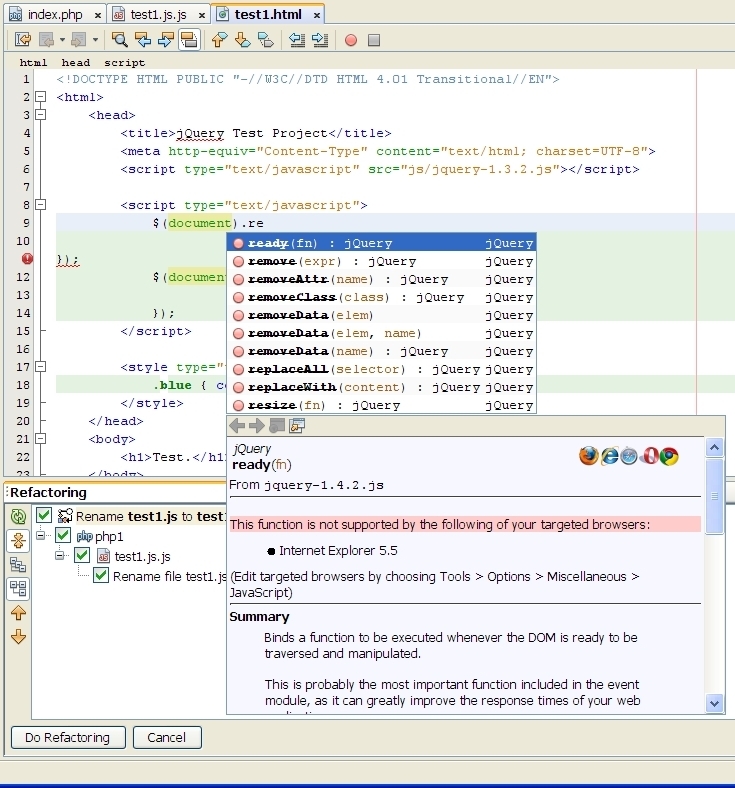 NetBeans has a useful learning trail. It wasn’t clear to me from the download page which NetBeans flavor I should download. So I installed the ‘All’ flavor, chewing up nearly 1Gig of my hard drive! That had everything I needed and much more. My use case for JSDT was 1. create a HTML/js project, 2. edit code, 3. leverage a third party library, 4. run the application. NetBeans has a tutorial which does exactly that. I followed this tutorial and had success with my use case. No failures. No exceptions. No workarounds. It just worked. I won’t reproduce the steps of that tutorial here. If you’re interested, try it out. I’ll show some of the results. Very nice. The Content Assist provided several useful things. Which browsers I was targeting. It included clear well-written documentation with detailed explanation and code example. I right-clicked on the sample html, selected View, and the app ran in my FireFox browser. HTML5. Like JSDT, NetBeans doesn’t yet support HTML5. This bug tracks it and states its slated for 6.10 (next) release in January 2011. Java Script doesn’t seem to be a primary language of the IDE. I had to dig deep into the menus– usually under some Other… option– to find Java Script tools. I didn’t delve into more detailed use cases, such as debugging. I may do that at a future time. The use case I struggled to get running with the Helios version of JSDT worked right out of the box with NetBeans. 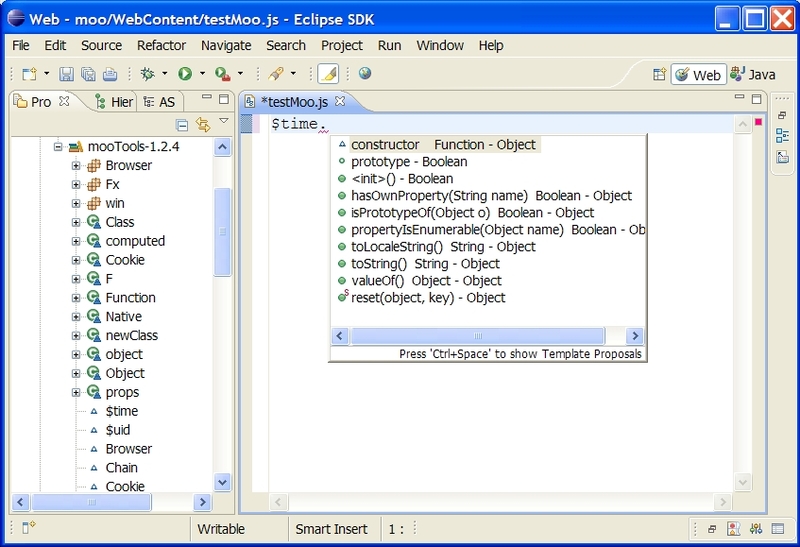 At some point, I would like to take myEclipse and Zend Studio— two commercial products– for a spin. Read today that JSDT will have preliminary HTML5 support in WTP version 3.2.2 (Helios SR1). This will be released at the end of September 2010. Very good news for JSDT users. 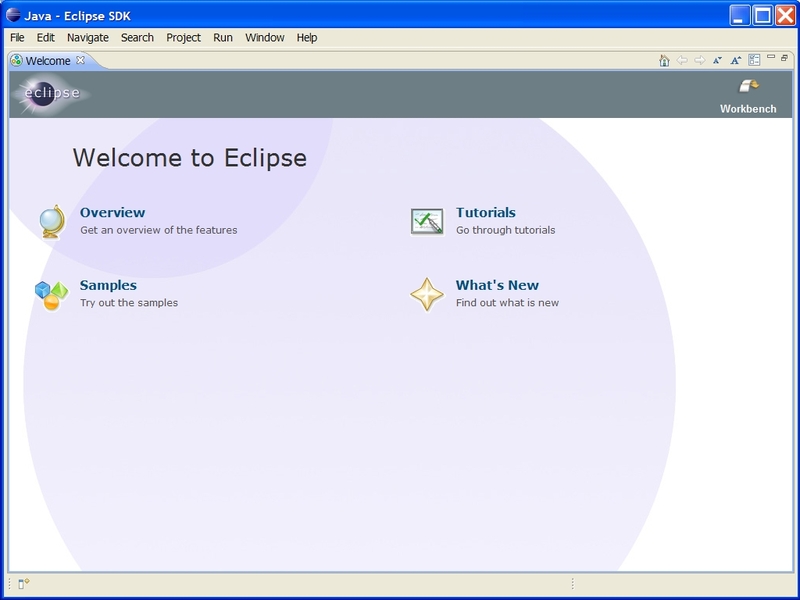 I’m documenting my experiences using the Eclipse JSDT. My initial attempt to add a 3rd party library had mixed results. My goal was to get some content assist working. 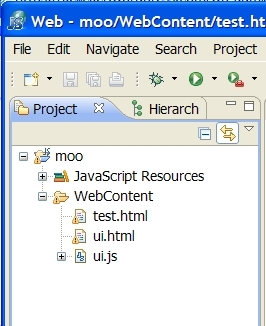 I was to add mooTools but not jQuery. However, I also found my approach failed when I wanted to get the mooTools library loaded when running the app. And when you try and run the example, you will notice either errors in your HTML debugging that states that the mootools libraries cannot be found, or the example will just not work properly. A side track for a second. I’m running an example from the wrox Professional Java Script Frameworks book, a good introduction to Prototype, YUI, Ext JS, Dojo and MooTools. The code samples can be downloaded here. Unzip the mooTools zip file, and locate code/mootools/mootools-animation-ui. 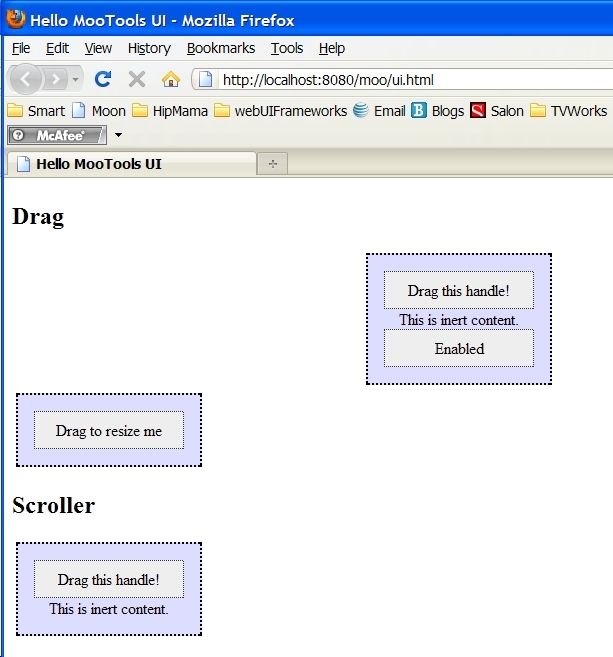 The example contains ui.js and ui.html, and they use 2 mooTools libraries. 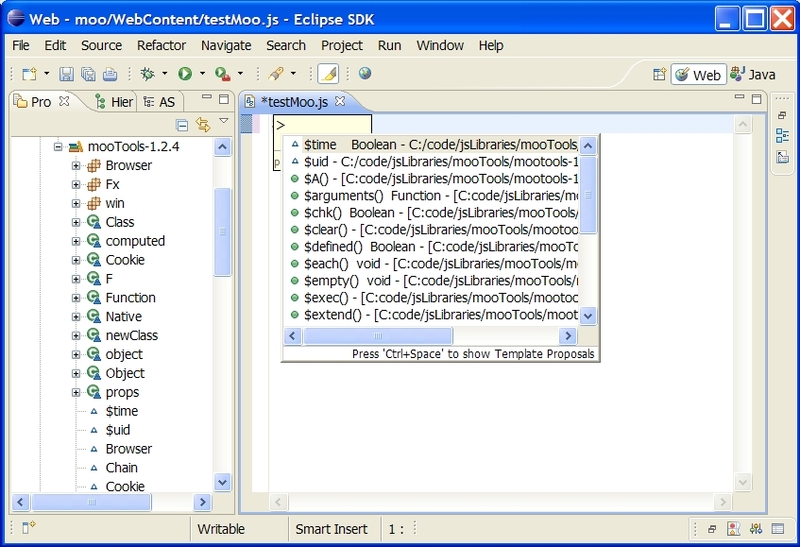 mooTools more, which is a script that is built by selecting various components. I chose all the options except the non-English options, and chose no compression to create a mootools-1.2.4.4-more.js. I was rewarded with this NPE exception dialog when I dragged the mooTools libraries from my File Explorer into the Web Context. Filed this bug. In this post I will add a 3rd party library. 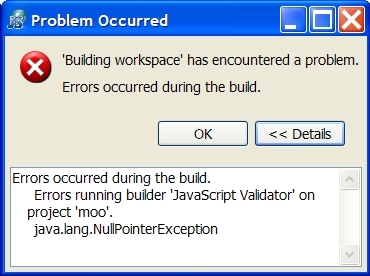 I will describe a success (mooTools) and a failure (jQuery). Update: There is improved information in this post: Adding Third Party Library Redux. First download the uncompressed version (mooTools-1.2.4-core-nc.js) and save it somewhere. Now create a Static Web Project. From this dialog, you can add MooTools. Ah it can see the Cookie constructor! I should mention that I could not get this to work in a workspace I had been working in for awhile. In fact I spent many hours trying to get it to work and finally determined the workspace I was working had been corrupted somehow. From the .log, I had experienced several crashes, some related to AST parsing, in that workspace. 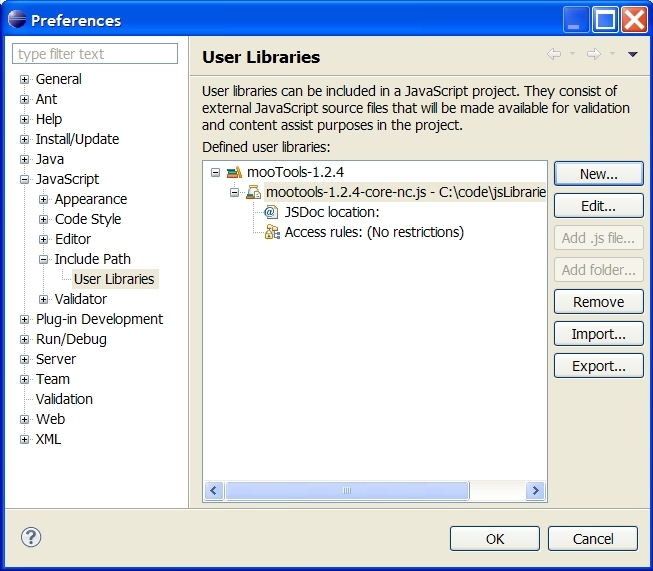 And no amount of removing user libraries and creating fresh projects would allow me to see MooTools Content Assist. Supposedly, if your 3rd party library uses jsDoc, the editor functionality is more robust. MooTools does not seem to document with jsDoc. Update: I’ve added bug 324416 for this problem. I followed the same steps to add jQuery (1.4.2 uncompressed from the download page) as a user library. However, after adding it and opening it in Explorer, it seems that parsing has failed. The AST is confused. According to Explorer, it seems to know about the jQuery variable though. But when I try to get some CA for jQuery, even though the jQuery variable is listed, I get none. Same for _load, add, etc. Nada. I’m wondering what experiences others have had adding 3rd party libraries or their own libraries. I’ll continue my instructions regarding how to set up JSDT development infrastructure. I updated to the latest debug plugins to resolve compilation issues. When I work on Eclipse products, we typically provide a default launch config per product. Although the nightly build is the ultimate authority of what encompasses the product, these version-controlled launch files provide a good point of comparison developer to developer. I could not find a public JSDT .launch file under CVS control. So I looked at the installed JSDT product to create my own. It’s here if you would like to download it. Just drop it into an active project in your Eclipse workspace, refresh the project, open ‘Run Configurations” and you should see a “jsdt” run config. You may want to tweak it a bit and verify that the set of selected plugins is correct. Then hit Run to see the JSDT. Disclaimer: I’m not on the JSDT team, so this may not be exactly how they do it. But it’s what I’ve done to get it working. Nitin Dahyabhai, the JSDT lead, pointed out that the first project above, contains a launch config to run all of the JSDT unit tests. I will need to check out these additional projects from the webtools CVS repository.